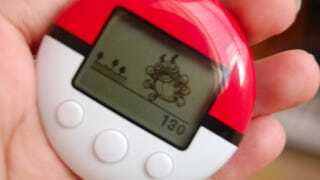 The results were presented recently at an experimental biology conference by Lorraine Lanningham-Foster, an Iowa State professor who has been studying the Pokéwalker's usefulness since its release. This study, which found the Pokéwalker most accurate counting steps taken on a treadmill at four different speeds, is a first step in ongoing research on the device, and how it encourages physical activity among kids. "Pokémon is a big toy for kids," Lanningham-Foster said. "And that's why I was so interested in it is the idea that we have yet another active gaming format for kids." If you're thinking this research is being funded by Nintendo, nope; it's funded by Iowa State's Nutrition and Wellness Research Center.